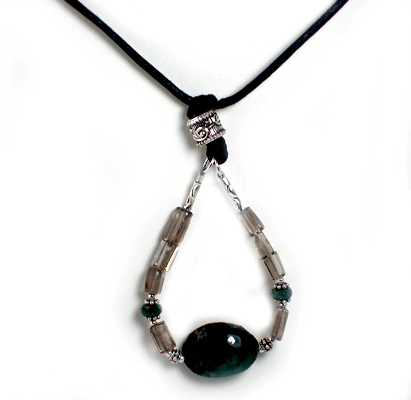 Natural irregular Emeralds, Smokey Quartz, Sterling Silver, and strung on an adjustable cotton cord. This unique necklace features genuine Emeralds in rock matrix, which create a sturdy yet elegant design. Natural shapes and hand-cut into imperfect works of art. No two are exactly alike, just like our children!